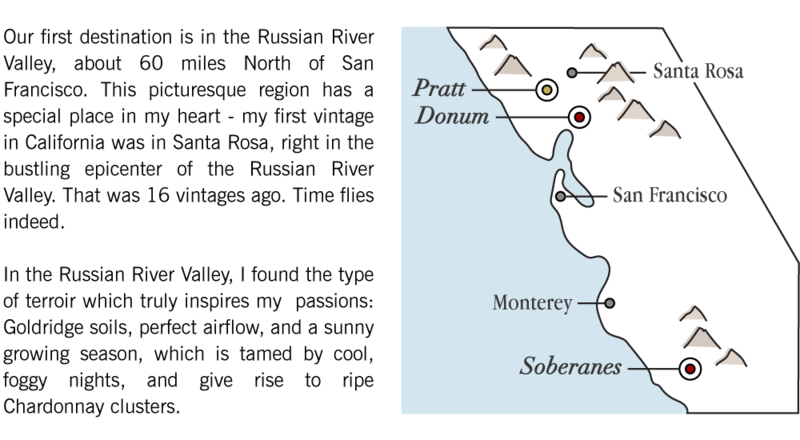 Join me for a tour along California’s Coastal Wine Region tasting our three Single Vineyard. Making wine in California is a privilege. We’re blessed with gorgeous views and perfect climates across the Golden State. Not far from the rolling coastal hillsides, I make three single vineyard wines which I release together every year. While they are all offered at the same price, each wine is completely unique, an expression of their different varietals which all tell their own story. Let’s drive together through these Pacific-influenced vineyards. Our single vineyard Chardonnay comes from a tiny vineyard named Pratt Vineyard, with only four rows planted with Clone 15. 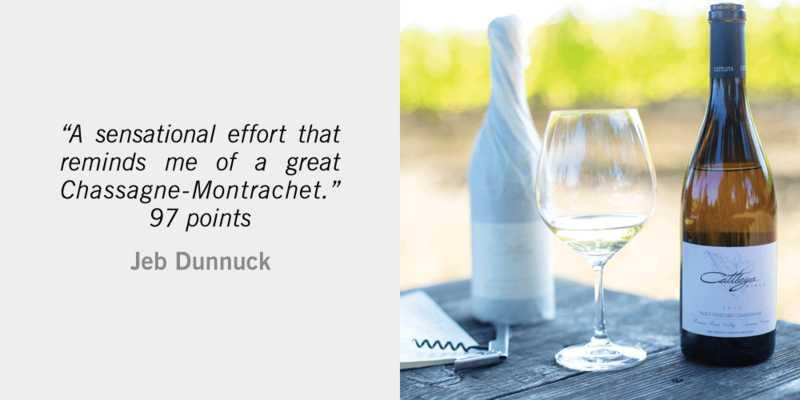 The result is pure texture with a soft acidity that focuses the wine while allowing it to show its strength. Only 65 cases were made of a 100% New French Oak barrel aging—which I promise you is a treat, especially if you have been enjoying this wine since its first vintage back in 2012. Next, on our vineyard tour, we’ll drive southeast to the Carneros AVA. I first started making this single vineyard wine thanks to my close relationship with Anne Moller-Racke, and have been creating wines from this site since 2012. Situated in the cool Carneros AVA, Donum Vineyard is tucked away in the lower hills of the Mayacamas Range. With the San Pablo Bay immediately to the south, the vineyard benefits from cooling blankets of fog and gentle sea breezes which extend the growing season. 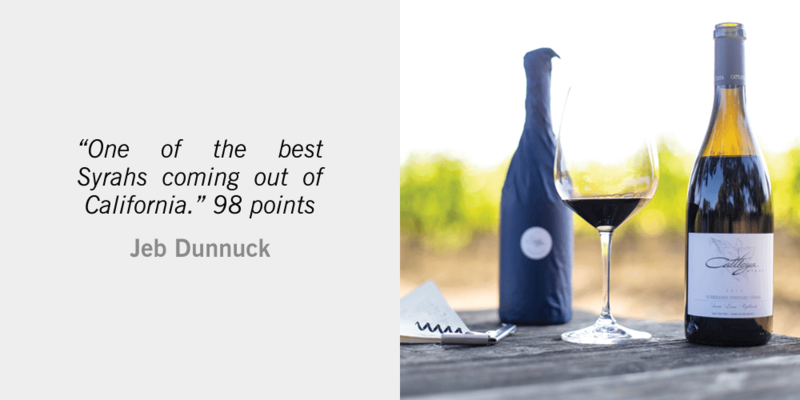 I love fruit that ripens slowly on the vine and Donum offers just that. Slowly ripened grapes focus their aromatic intensity and tannin development, the building blocks of outstanding wine. 2016 was exceptional and this vintage is probably one of our best so far from this site. This exquisite wine has only increased in density and finesse through extra aging in barrel. We bottled a mere 52 cases, so if you are a Pinot Noir lover, you should fill your cellar with wines from the 2016 vintage, making sure to leave room for this beautiful Cattleya single vineyard Pinot. Driving from Santa Rosa to Monterey County is a common weekend drive for our family and if you have the opportunity, I urge you to do the same. The Soberanes Vineyard, where I source tiny, beautiful, and deeply concentrated Syrah clusters, is located at the heart of the Santa Lucia Highlands appellation, in the foothills of the Santa Lucia Mountains. It was planted by the Franscionis and Pisonis back in 2007 and let me tell you, there are not many vineyards like this. Ample sunshine is tempered by cool Pacific winds and coastal fog to produce perfectly ripened fruit. Today, this wine is my most highly regarded, sought-after wine. Each drop is crafted using all my passion for farming, winemaking, and honoring the skills I learned working with my mentors in France. 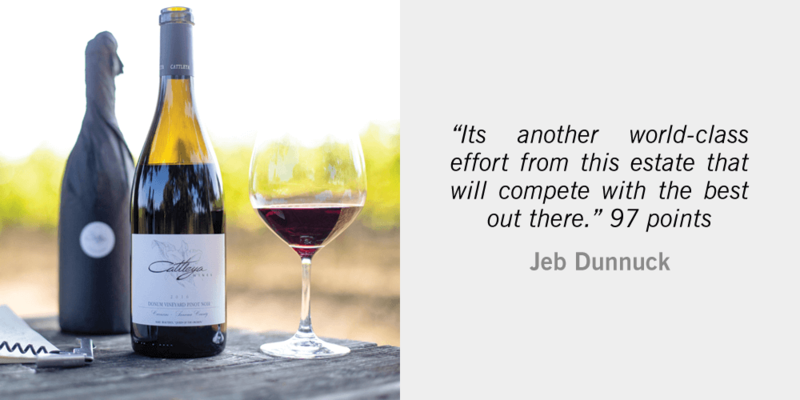 The Soberanes Vineyard Syrah is meant to be enjoyed, shared, and cellared. The 2016 vintage is beautiful in its youth but will age gracefully for the next 15 to 20 years, if not longer. Thank you all for your tremendous support. Making wine is a fun, joyous experience and I can’t wait to share what is to come with all of you. Please fill out the form below and I will get back to you shortly. I consent to Bibiana Gonzalez Rave collecting my details through this form.